Having red and white home interior in our house is very interesting idea. 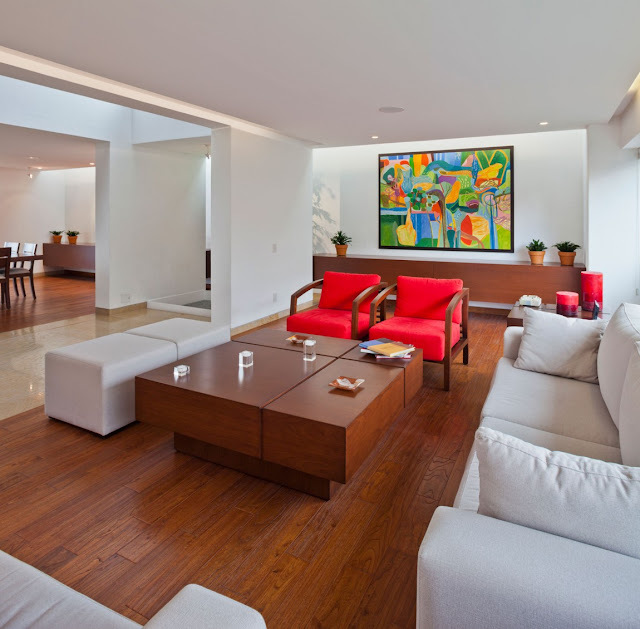 You can show your favorite color in your entire house and show your personality. You can also combine those two colors with other color to make it more beautiful. 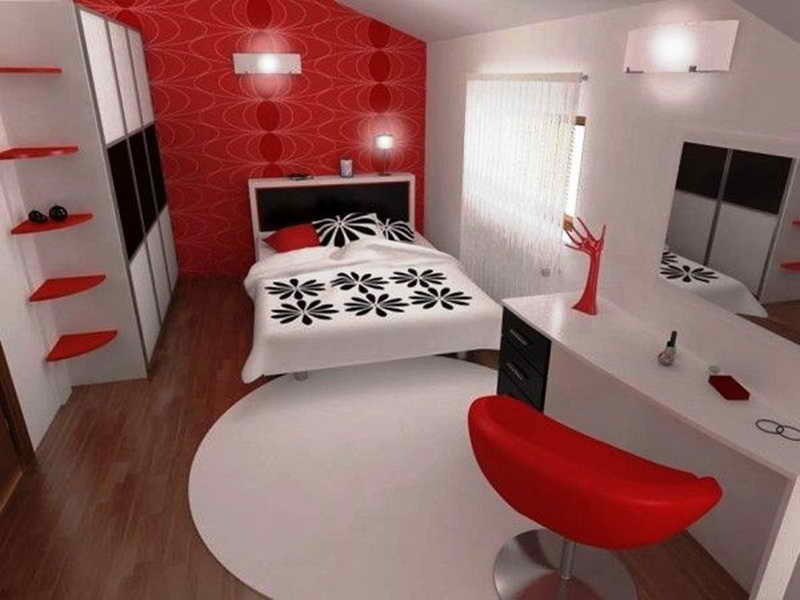 The pictures below show you how beautiful home interior in red and white. 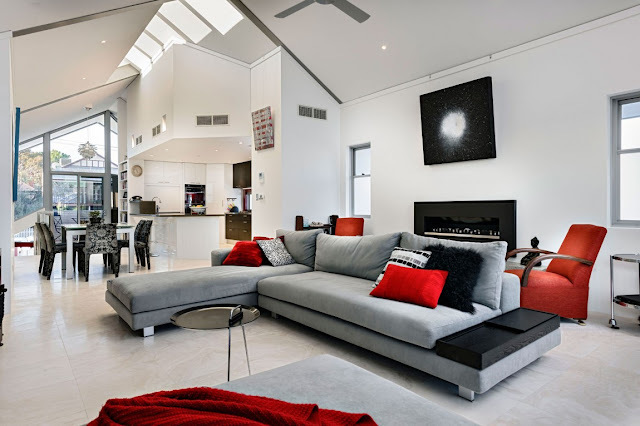 First picture shows red and white living space with two long sofa in red and white and TV screen in front of it. Behind the TV screen is red wall that becomes the icon of the area. Next to this area is small dining room, this area is near some windows in white. Some rail lamps on the ceiling make this area looked more contemporary. You can also design your reading area in red and white. You can put long red sofa with some cushions to make you more comfortable. White rug fur on the pattern wooden floor makes you feel warmer. Windowed wall with curtain will make this area brighter. You can also enjoy the panoramic view outside your reading area while you read your favorite books. 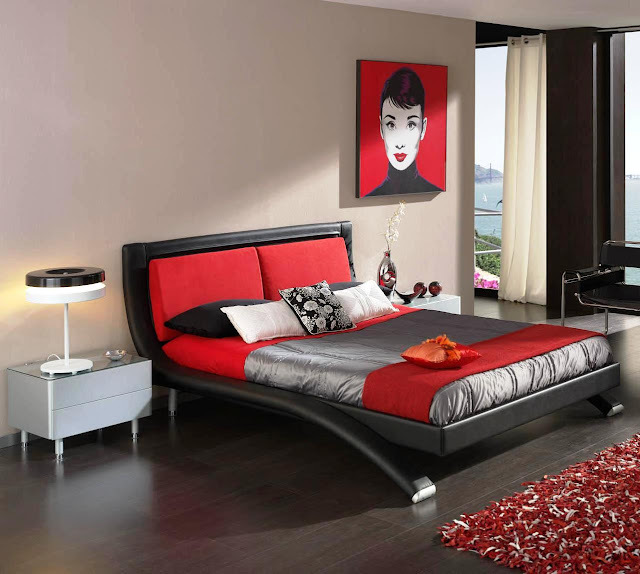 Black, red and white living room is also good idea. 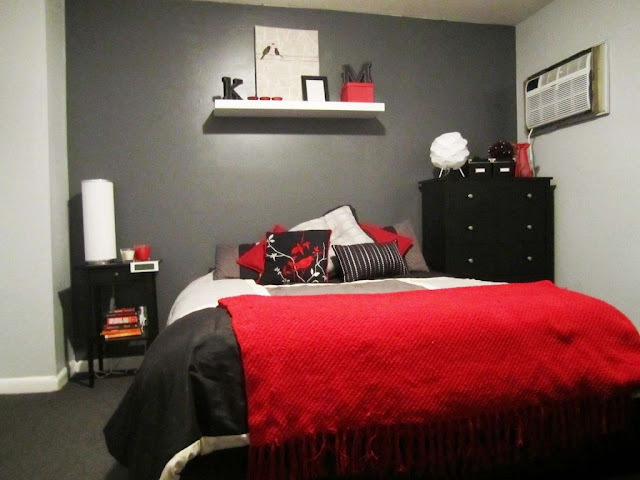 Loft chairs with cushion in white on black chair frame are perfect on red wall around it. Two small coffee tables with some ornaments will make this combination perfect. 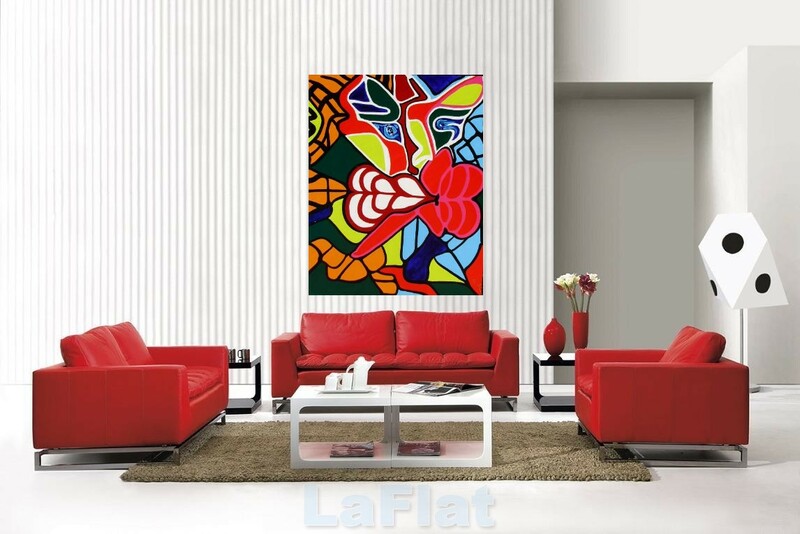 Painting on the wall will make this area more artistic. White shelves to put some ornaments and porcelains is great addition.